Cine films do not last forever. 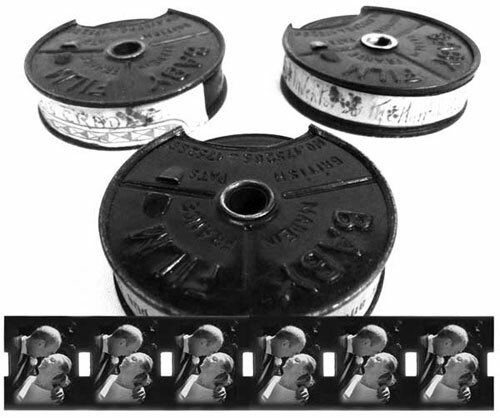 To avoid further deterioration and for ease of viewing we can transfer your Super 8 mm and 8 mm cine films to digital MOV file for editing or DVD using state of the art professional digital imaging equipment to maintain the best possible quality. Putting that old family cine film on DVD can make unique gifts for Christmas, Birthdays and anniversaries. At Kodak Express Camden all cine transfer work is done at our London studios. Our Technicians have the experience to to get the best quality possible from your cine film. This Cine to DVD service is unique to our Kodak Express store in London were all work is done onsite. If you can't make it into our shop in London but would like to use our quality cine transfer service please do so by mail order. Additional copies of your Cine to DVD can be produced making ideal gifts. 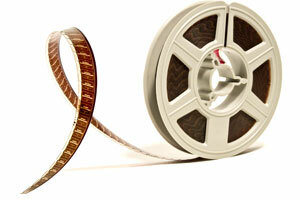 This service is available for Super 8, 8mm, 9.5mm,16mm cine films. We can edit your cine for you before it goes onto DVD . Titles, music and transitions between scenes can all be added to your cine film. None of our cine to DVD services are set in stone and if you require something that is not listed above please call us. If you cannot make it into our shop simply post your cine film to us - don't forget to include your instructions, address and telephone number. On receipt of your work we will call you, confirm your instructions, and take payment by credit card over the phone. Instead of an encoded DVD, you may wish to order an an editable computer file for home editing. We can supply you with an editable AVI file for editing on PCs and MACs. An MOV file is 1gb per minute. We ask customers to provide an external hard drive or large capacity USB stick for this purpose. we can also supply these for you in store at cost price. Although DVDs last a lifetime without deterioration in quality one scratch or scuff mark will render it unplayable. For this reason we strongly advise you to order an extra DVD back up copy of your cine transfer work - the cost is only £6 per 2 hour DVD. Prices start at £11 per reel. This is the most popular type of cine film which most of customers send to us. 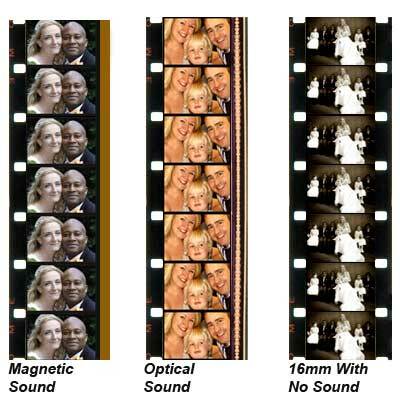 16mm Cine film was and is generally used by advanced amateurs and professional film makers.